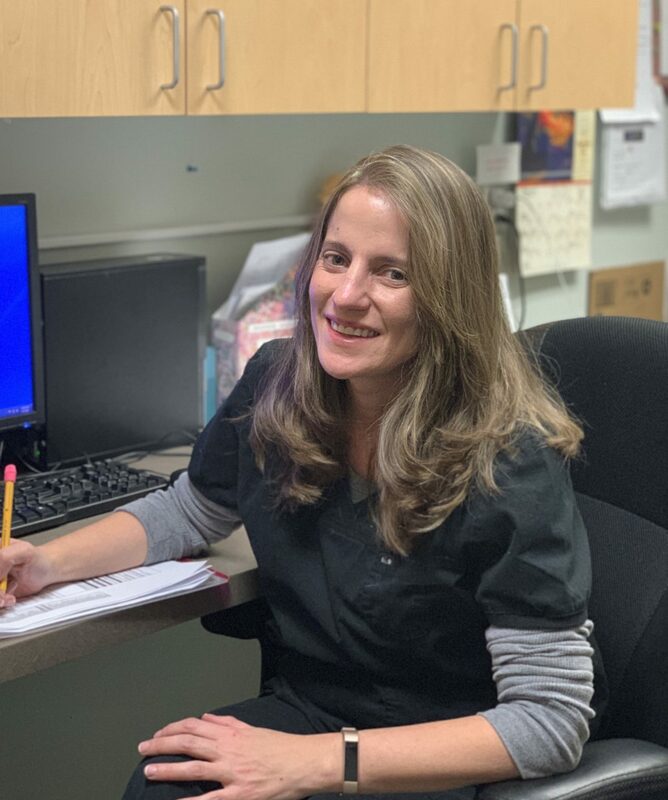 In addition to earning her certificate as a Certified Rehabilitation Registered Nurse, Cara has been promoted to Unit Manager of the acute rehabilitation wing at Bacharach. Not only does she have oversight of the typical operations of the day and addressing any problems that may arise, she has 24- hour responsibility for the unit. Cara started her nursing education at Burlington Community College where she became a registered nurse. A 6-year stint in the ICU at Deborah Heart and Lung Hospital followed. “It was a good place to learn, fresh out of school,” she said. Now that she will be working the day shift for the first time in many years, “I am looking forward to seeing patients and families and meeting the rehab staff. The staff sees potential in every patient here. No one is left behind, no one is forgotten.